Love knows no age, right? Maybe that’s why 5% of first marriages and 20% of remarriages are between individuals with a difference of 10 years or more in their ages, according to Pew Research Center. 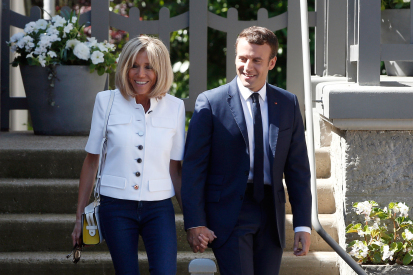 And with remarriages on the rise, we can expect to see more unions that look like those of President Donald Trump and French President Emmanuel Macron, in which there’s more than a 20-year age gap between partners. When spouses are very different in age, they can face particular challenges when it comes to planning for retirement. If you’re part of such a couple, here are six tips to help ensure you both enjoy a financially stable retirement. It’s key that couples with large age gaps craft their retirement plan and savings targets based on the life expectancy of the younger spouse, says Greensboro, N.C., financial planner Aaron Parrish. You want to make sure that he or she will have sufficient assets and income as a widow or widower. Social Security’s Life Expectancy Calculator can provide you with a good jumping off point for figuring out your timetable. As the older of you reaches retirement age, you’ll need to carefully consider how you’ll continue to invest your savings, and factor in the impact the longer drawdown period will have on the amount you can safely withdraw, especially once both of you stop working. Age-gap couples generally need to invest a higher percentage of their portfolio in stocks than a same-age couple would in order to capture enough growth to support both spouses’ retirement timelines. So, for instance, a typical portfolio held by a retiree in his or her 60s would contain less than 50% in stocks, but that same retiree with a 50-something spouse will likely need a more aggressive approach, carrying about 60% in equities, says David Blanchett, head of retirement research at Morningstar. Age-gap couples will need to increase the equity exposure of the overall portfolio by 5% to 10%, on average. Similarly, you may need to scale back how much you withdraw from your portfolio each year to help it last over a longer combined retirement. For instance, research has shown you can withdraw 4% of your nest egg in the first year of retirement, increase that dollar amount by inflation each year, and be confident that your funds will last for 30 years of retirement. But if you anticipate that you and your spouse’s combined retirement will be longer, you’ll need to be more conservative with your withdrawal rate. 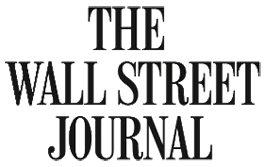 “If you are drawing from your portfolio too heavily, you risk not capturing the growth you’ll need,” says Solana Beach, Calif., financial planner Jon Beyrer. While couples typically like to retire together, timing that big life change can be a big issue for couples born a decade or more apart. Many such duos struggle to find the perfect balance between working long enough to secure a solid nest egg and retiring with enough time to travel or do volunteer work or visit grandkids together when both people are healthy and active. The temptation for a younger spouse to join the older one in retirement can be strong, but an early retirement can be very costly. It puts further pressure on your portfolio to support more years of retiree life and reduces the opportunity to set aside money from your continuing pay as savings. An early departure can also reduce the younger spouse’s Social Security check. That’s particularly the case if he or she is highly paid now, compared with in previous decades, and/or has had fewer than 35 years of earnings. Social Security benefits are calculated by averaging your highest 35 years of pay—so if your early retirement means you won’t reach 35 years of earnings, zeros will be filled in for the missing years, taking a bite out of your potential benefit. When you reach age 70½, you generally must start taking required minimum distributions (RMDs) from IRAs and employer-sponsored retirement plans. In age-gap couples, the older partner benefits from a rule that allows him or her to take less out then a peer with a similar-age spouse. To take advantage of this separate RMD calculation table, your spouse must be your beneficiary on a traditional IRA, 401(k), 403(b), or 457 plan, and must also be at least 10 years younger. For example, a 72-year-old retiree with an IRA balance of $219,790—the average amount a 70-year-old has in an IRA, according to the Employee Benefit Research Institute—would have an RMD of $8,586. But if married to a 61-year-old, that retiree would only be required to take out $8,357. The RMD amount becomes smaller the larger the age difference between partners. That makes it possible for more of your money to keep growing, if you don’t need to tap it now for living expenses. Like all couples, you want to be strategic in how you use any RMDs that you don’t need for immediate spending. For instance, if the younger spouse is still working, those dollars can help him or her max out contributions to a 401(k) or other retirement savings plan, as well as a health savings account if eligible, says Charlotte, N.C., financial planner and CPA Ann Reilley Gugle. Doing this allows the money to help fund the younger spouse’s retirement. And putting more dollars in tax-advantaged accounts would trim the tax bill on the younger spouse’s pay, potentially offsetting the tax due on the older spouse’s RMD, adds Gugle. If the older of the pair is entitled to a traditional pension, taking it in the form of a joint-and-survivor annuity could be particularly valuable. With such an arrangement, the size of the initial monthly check is reduced compared with covering only the worker—but payments will continue as long as at least one member of the couple is alive. “The benefit will last two lifetimes and the survivor can continue to rely on that money,” says Beyrer. As the worker, you can typically opt for a 50%, 75%, or 100% survivor annuity, meaning your spouse will get that percentage of whatever your monthly check was after your death. Note, though, that your pension amount will factor in the age and life expectancy of your spouse, so that a 65-year-old retiree signing up with a a 55-year-old spouse will get a smaller check than one whose spouse is also 65. The larger the percentage benefit for a surviving spouse, the smaller the retiree’s initial check. Still, “the 100% survivor annuity makes the most sense for couples who don’t have the strongest savings net, where the survivor would likely be relying heavily on Social Security with little other income” says Beyrer. If the older spouse was the higher earner, it can be beneficial to delay taking benefits until age 70. Not only will the benefit grow by about 6.5% to 8% for each year of delay, but the survivor benefit will also be higher, says Austin, Texas, financial planner Jeff Weeks. With a big age gap, it is more likely that the younger spouse might collect a survivor benefit for an extended time. Use the Social Security Administration’s Retirement Estimator to learn what your benefit, and that of your spouse, is likely to be. Or pay a fee and use a service like Social Security Solutions, which will run an analysis for you as a couple and recommend your best filing strategy. One financial hazard to weigh is the possibility of the older spouse needing extensive long-term care in later life—something that can drain a couple’s savings. If most of the financial resources go to care for the older spouse, the younger spouse will be left with little to live on for what could be many more years. One option is to buy long-term-care insurance, which can cover assistance at home as well as assisted living or nursing-home stays. This choice often makes the most sense for couples with investable assets between $250,000 and $2 million. They can afford the steep cost but also risk seeing their savings decimated by long-term-care expenses. Lower-earning couples may not be able to afford the coverage; if they exhaust their savings and need care, it will generally be covered by Medicaid. Keep in mind that premiums increase with the age at which you sign up. So time this talk within the decade that the older spouse is 55 to 65, as that is the prime age to buy.